Connecting students - green dots on the map indicate countries with registered participants at one of the Agenda 21 NOW! conferences. Agenda 21 NOW!, the global telecommunication project for students, is over. 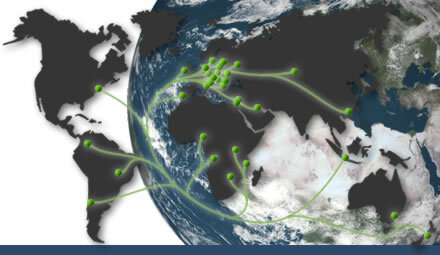 In seventeen annual conferences in a row, from the first one on 5 June, 2000, until the final conference on 17 February, 2016, students and teachers from all over the world participated in our online conferences, talking to each other as well as to teachers and experts about sustainability issues that mattered. Now we have decided to say goodbye. This has many reasons. The most important one for me is that I feel it’s time to do other good things in the wonderful international school networks Agenda 21 NOW! has worked for, namely the UNESCO Associated Schools Project and the UNESCO Baltic Sea Project. If you wish to work internationally, if you wish to work for peace, solidarity and sustainable development, find yourself a place in these networks. You can meet wonderful people there. And meet them, in flesh and blood, work with them, have fun with them, see them again! Be a World Citizen! Thanks very much to more than ten thousand participants in nearly 100 countries, you’ve made our conferences an experience for everyone! Thanks to all experts and to all teachers who have been with us for many years, you have made our conferences great and valuable! A very special and deep thanks goes to the many current and former members of the Agenda 21 NOW! team who have been with the project from 1999, when we started the preparation, until 2016. Thank you all, it’s been fun, it’s been a great pleasure. Download and print the 2016 poster for your colleagues, students and friends! Agenda 21 NOW! was a 24-hour global Internet conference for students aged 14+, with participants from five continents.